Confession: sometimes when I need to pick something up at Ikea I time my visit to coincide with lunch. Last time I was there I tried their new vegetarian hot dog, but usually I order their Swedish Gravadlax. 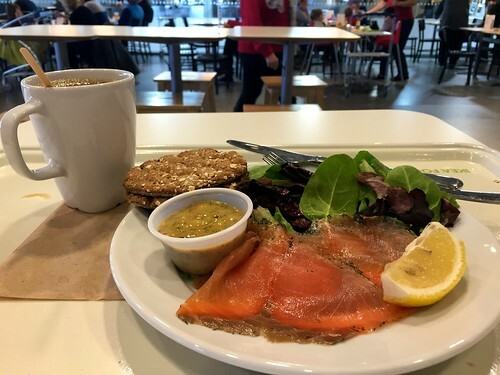 I know it’s always ALL ABOUT THE MEATBALLS at Ikea, but at $5.99 this cold salmon plate is a great deal. And it’s so good. And healthy! As you can see, there’s the cold-smoked salmon, baby greens, a wedge of lemon, some Swedish crisps, and a small container of mustard-dill sauce. The smoked salmon is very good but if I’m truly honest with myself, it’s the sauce that got me hook, line, and sinker. I LOVE THIS SAUCE. I have to physically restrain myself from licking the plate afterward, which is funny, because I always thought I hated dill. Oh, I like dill pickles and dill-flavoured potato chips well enough, but I haven’t eaten fresh dill since I was a kid. I have a vivid recollection of the meal that did it for me: a dill sauce that was so thick with dill it was like eating grass. And that was it for me and dill until IKEA came along and patched up our relationship. You are already seeing my dilemma here. What can a gal do with so much dill? 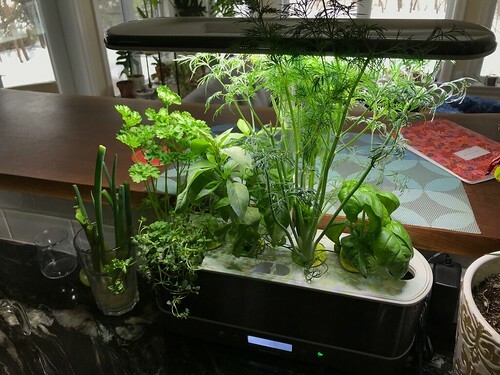 I could freeze it, I suppose, or dry it, but I’ve read that dill loses a lot of flavour when it’s dried so I had to find a recipe that uses a bunch of dill and doesn’t taste like grass sauce. And that, my friends, is when I remembered Ikea’s delicious and dare I say, addictive, mustard dill sauce. So I did a bit of searching and found this recipe. It is very very close to the one they serve at Ikea. I have made it twice so far. The second time I used half as much olive oil, which I preferred. I made myself a giant plate of mixed greens and smoked salmon for lunch today and drizzled the mustard dill sauce over the whole thing. It was, in a word, delicious. This one is a keeper for sure. Let me know if you try it! 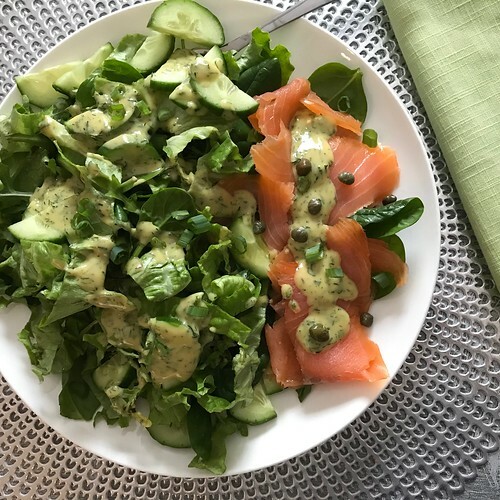 Share the post "Copycat recipe for Ikea’s mustard & dill sauce"
No Responses to "Copycat recipe for Ikea’s mustard & dill sauce"